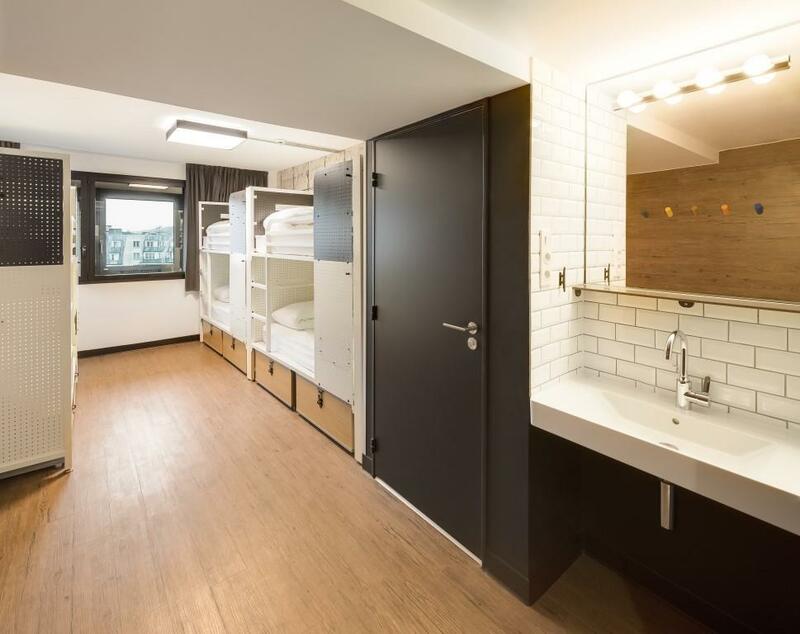 ‘Generator’ is Europe’s fastest growing hostel brand, its properties are known for offering residents cutting-edge design, central locations, creative events, locally-inspired menus and wide range of room options. 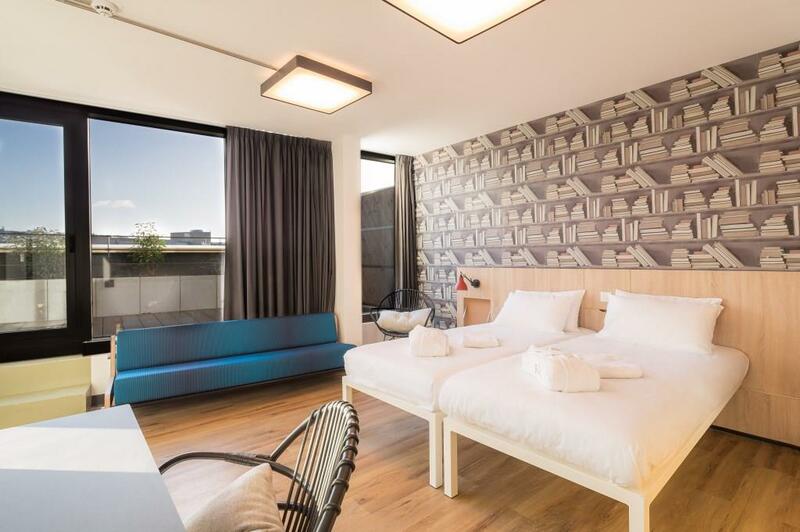 The latest hostel offering, Generator Paris was announced winner in the Guestrooms/Suites (midscale/economy) category in the 11th Hospitality Design Awards ceremony that took place in New York. Located in the 10th Arrondissement, Paris’ trendiest district, Generator Paris opened its doors in February 2015. The property features all the classic Generator public spaces with a local touch and interiors created by global design partners DesignAgency under Anwar Mekhayech’s direction. The airy reception is adorned with bespoke vintage style signage, petrified moss plant “G” sculpture, lounge seating by local industrial designer Romain Guillet and a Mondrian-inspired reception desk. Pass the lift lobby and the covered outdoor passage, a metal and wood staircase shapes the 3 floor space. The downstairs bar is inspired by the Metro and features original tiling in the dance floor area. Up a level is the spacious Café Fabien that acts as an all day brasserie with ample seating area and a garden facing conservatory. The Morocco infused mezzanine area occupies the third level, anchored by custom wood pallet and Kilim sectionals facing the mural by Dutch, living-in-Paris artist CEIZER. The rooms that won Generator Paris this HD award are simple yet stylish with a range of wallpapers in different shades and sleek bathrooms with monsoon showers. A number of them include private terraces with wood floors, hammocks and stunning views of the city. Generator London was also recognised with the title of finalist in the Public spaces (midscale/economy) category after the deep refurbishment undertaken in 2014, that transformed the property in one of London’s best design-led hostels. The Hospitality Design Awards are granted by HD magazine and have been honoring some of the best achievements in hospitality design around the world for 11 editions. This year’s judging panel included Dan Kwan, Managing Director of Wilson Associates; Katherine Lo, Executive Director at Langham Hospitality; Lionel Ohayon, Founder of ICRAVE; Will Meyer, Founder of Meyer Davis Studio; and Larry Traxler, Senior Vice President, Global Design at Hilton Worldwide.